The dengue is a virus transmitted by a bite from the "Aedes aegypti" mosquito. Only the female mosquito transmits the dengue virus. This mosquito bites only in daytime. This mosquito is most active in the hours after sunrise and before sunset. Fever for 3 to 7 days is the main symptoms. Intense headache and pain behind the eyes. There is no specific antiviral treatment available but don't worry it can be cured by Ayurvedic treatment. Antigen Blood Test(NS1) and Dengue Antibody and Platelets (Platelet is a component of blood which prevents bleeding and helps in formation of clot. Normal platelets count in human body is between 1.5 lakh and 4 lakh. In patients with Dengue, it drops to/ between 50,000 to one lakh.) count. Usually adequate hydration and pain control will help the person through the infection. This herb, which has been used in Ayurvedic Rasayanas since centuries, is very helpful in building up the immune system and the body's defense against infecting organisms. 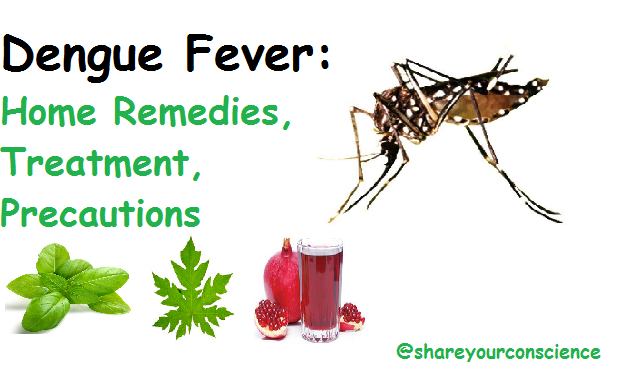 Although the exact pathway is unclear, papaya leaves are widely known as being a natural cure for dengue fever. The complex mix of nutrients and organic compounds in papayas can cause a rise in your platelet count, the high levels of vitamin C help stimulate the immune system.The leaves can be crushed and then strained with a cloth to drink the pure juice. The rich mixture of antioxidants and vitamins found in orange juice. Basil leaves is very helpful in dengue. May be used with warn water like tea. The only way to protect yourself and your family is to avoid being bitten. Remove all stagnant water and containers, avoid storage of water, Use mosquitoes net, Wear long sleeve or full sleeve clothes, regularly change flower vase water.